Twice this week I’ve had friends of my mine send me links or suggestions to find out more about “suspended coffees“, that it might be something I could do as part of my Random Acts of Kindness. 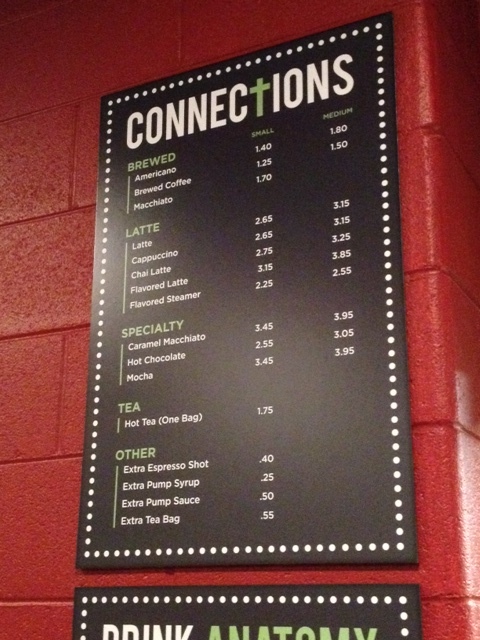 The basic premise of “suspended coffee” is that while you are purchasing your own salted caramel machiatto (or whatever your favorite coffee drink might be), you also purchase another coffee to be “suspended” or waiting there, allowing the barista to choose a random stranger who appears to be in need of coffee without the burden of payment. Today as I sat in church rejoicing over the news that Jesus is no longer suspended on the cross (He is Risen! ), my thoughts focused on that one word: suspended. What’s the first thing that comes to your mind? Being an educator, I immediately think of being suspended from school (NOT from first hand experience, let me reassure you! Ha!) Being suspended from school is humiliating. Embarrassing. A punishment for not following the rules. Then I think of Jesus being suspended on the cross. Humiliated. Embarrassed. Punished. While suspended coffees and a suspended savior may not go hand-in-hand per se, they were connected in my head this morning. Jesus did not stay suspended. He was brought down from the cross, placed in a tomb, and rose 3 days later. He carried the weight of my sin hanging on that cross, but it was a weight he chose to bear. A suspended student also bears the weight of whatever action was committed, but does not stay suspended forever. He serves his time, then returns to begin again. Like these two examples, I know my suspended coffees will not remain in mid-air. Someone will enjoy a free coffee. Someone’s thirst will be quenched. Someone will be reminded that there are nice people in this world and that good things can, and do, happen to them. It was with this spirit that I reached into my purse and felt the straight edges of my Happy Birthday bag. As many of you know, I celebrated my 40th birthday by completing 40 Random Acts of Kindness (if you want to start at the beginning and read what I did, click here.) 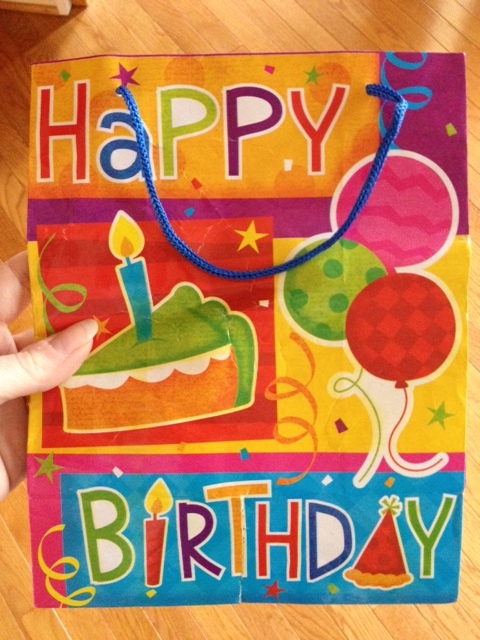 One of my dearest friends, Lisa, blessed me with this birthday bag and filled it with one dollar bills. “For your project!” she proclaimed, being one of my biggest cheerleaders in life. I’ve been carrying around this bag for months, never knowing when the moment will touch my heart to bless someone else, but reassured that when the moment appears, I will have some money to make it happen. Today, I reached in and took out $10. 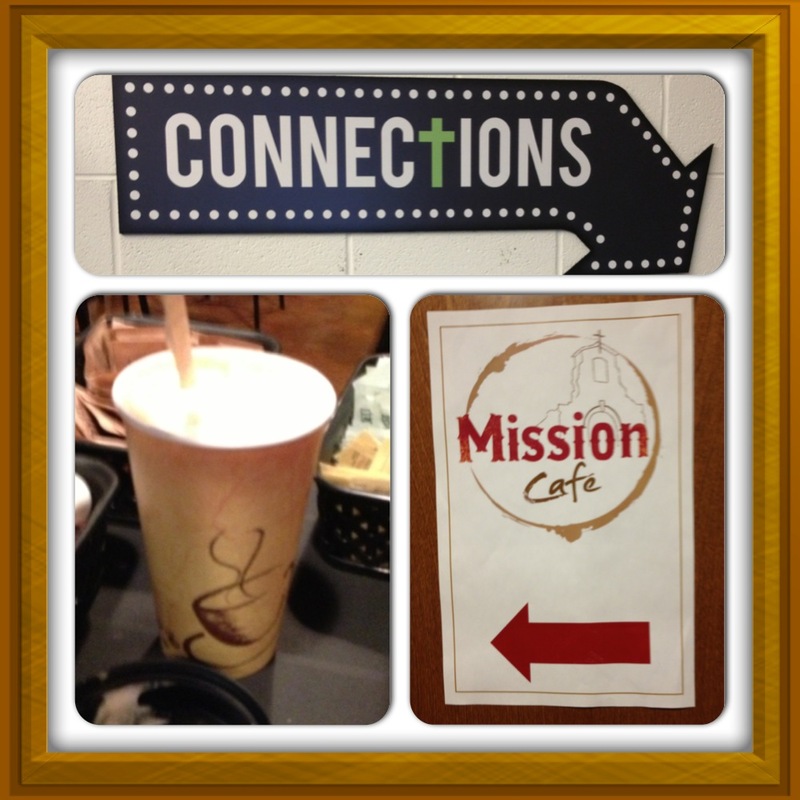 After church, I made my way downstairs to the new coffee shop that just opened in our church. All proceeds from the coffee sales will go to support mission trips; not only would I bless a few strangers with coffee, my money would continue to bless those that served others. As I waited in line, my thoughts drifted again to Sandy Hook. Today is the first Easter celebration where 26 families have their precious loved ones living with Jesus instead of them. Just the thought brought such an array of mixed emotions, I could barely speak when it was my turn to order. “And what can I get for you, Miss?” My tear-clouded vision cleared as I was brought back into the moment. “Well, this might sound a little odd, but I don’t want to buy any coffee for myself. Can I buy three suspended coffees instead?” I then explained the concept of suspended coffees and the purpose of my mission. 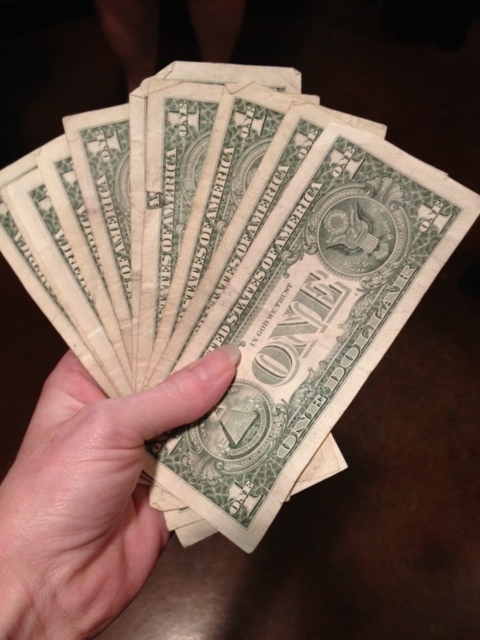 The barista, a church member, was a little taken back by my request (I’m pretty sure she hasn’t heard the latest buzz about suspended coffees, lol), but she seemed quite happy to take the money and pass it along to someone who might need it more than me. Suspended coffee. Something so simple, and yet a perfect RAK for Easter Sunday. I dedicate today’s RAK to Dawn Hochsprung, age 47, who as the principal of Sandy Hook Elementary knew the meaning of “suspended”. According to media reports, she was a hero in every sense of the word, not only leading her school with joy and enthusiasm, but “facing every problem head-on… even lunging at the shooter upon hearing the sounds of gunshots.” She sacrificed her life for her students; Jesus sacrificed his life for you and me. I know, without a doubt, neither life is suspended anymore. The day after my last RAK post, I came down with the flu. Influenza Type B to be exact. NOT FUN. For someone who operates at the speed of the Energizer Bunny (and that’s on my slow days! ), to be confined to the bed for almost a week was simply incomprehensible. But it happened. I got the flu and it knocked me down so hard I honestly thought I would never be well again. Then following the flu was the non-stop dry cough where every other word you speak makes people wonder if they should call 911 on your behalf. My recovery time was a challenge because as many of you moms know, time stands still for no one. Dinners need to be made, children need to be dressed, and work needs to be done. In the midst of all that, my son’s sports schedule changed (put away the soccer ball, bring out the soccer cleats) and like a domino effect, the few spare moments I had available to myself slipped away with the turn of a calendar page. How on earth could I take the time to bless others? All I saw around me were items needing my attention: laundry piles, unfinished projects, stacks of mail, and an endless array of legos and toys that only a three year old could so brilliantly scatter in record-setting time. For the first time since I started this RAK project, I truly felt overwhelmed by the mere suggestion of blessing someone else. It just seemed like such an effort! And if it didn’t matter to anyone else but me, then why keep going forward with it? That’s when I stopped. Literally. I stopped focusing on this blog and just let the chips fall where they may. And you know what? The moment I stopped was the moment other people began. Another friend commented on one of my RAKs with, “Keep sharing your compassion and great ideas to inspire the rest of us.” Great ideas? Inspiring others? Me? Really? The next week I checked my Celebrate Kindness email account and discovered an email from one of the recipients of my first RAK for Sandy Hook victims (read the story and her response here). She was asking for my address so she could mail me a $25 gift card to T.G.I.Fridays so I could pay it forward and keep the blessings going. REALLY?!? A gift card donation! WOW! My spirits were lifted at the thought of walking into a restaurant and paying the bill for a family with kids, not knowing their story, but blessing them just the same. How exciting! This week, as Pollyanna peeked her smile back into my spirit, I received yet another message from a former co-worker. She has been blessing homeless people on the way to work and stated how good it makes her feel to perform her random acts of kindness. She also added that she reads my blog stories several times because each time she reads them they make her feel good inside and inspire her to do more. Well, short of being hit over the head with a shovel, I received the message loud and clear: RANDOM ACTS OF KINDNESS MAKE A DIFFERENCE! It is very humbling to know something you do, even something so simple and seemingly unimportant, really does positively impact the life of another. The most ironic point of this entire story is that none of the people mentioned above knew I was in a rut. Seriously! It was LITERALLY divine intervention with a splash of perfect timing. 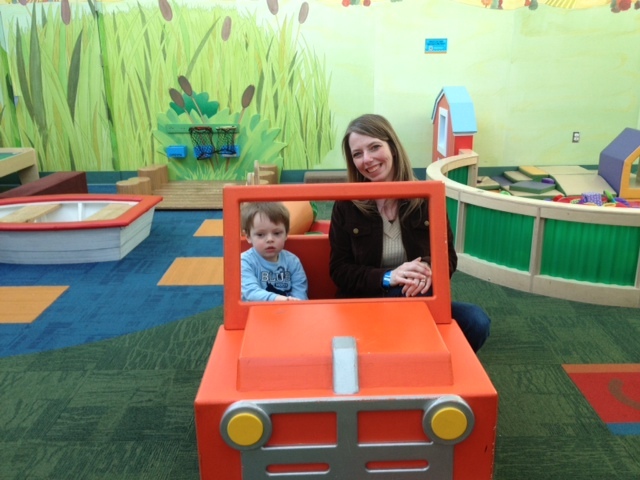 Two people offered to take a photo of me with my son when we were at the Children’s Museum. Granted, he wouldn’t smile for one photo (and actually refused the second offer by shrieking “No picture! No picture!”)… but the fact that someone else recongnized the importance of capturing this fleeting moment of motherhood brought tears to my eyes. As I was shopping at the grocery store picking up ingredients for my 3-2-1 Cup Cake (see recipe here), a stranger leaned over my shoulder and said, “You know what I like to make with Angel Food cake?” then proceeded to give me a super easy recipe for a new dessert I could try. I then shared my 3-2-1 Cup Cake recipe with her and she ended up adding the ingredients to her cart! How fun! Someone let me in front of them in the grocery store line. Little did they know I was in a rush and a little frustrated by the events of the day. Just something as simple as letting me go first changed my perspective in an instant! I was in a classroom teaching third grade students when I realized one of the students was the son of my husband’s best friend from high school, whom I hadn’t seen in 20 years. It just so happened that he was picking up his son from school Friday afternoon, so I was able to reconnect and say hello. What a great surprise! Although this may not have been an official “act of kindness”, the random surprise was still a delight! Four times this week I had students offer to open doors for me as I was carrying items or pushing netbook carts. Yes! Children can be kind, too! Three separate friends sent me messages saying they wanted to get together to catch up, to have some quality time together. Oh, how this brightened my day! If I stop and start to list all the nice things people did for me, even in just this week, I am overwhelmed by such kindness. How can you NOT be inspired to bless others when you find yourself so blessed? After all, isn’t that what paying it forward is really all about? So dear friends, my best advice for getting out of a rut is to just stop. Stop trying to be everything to everybody. Take time for yourself. Allow yourself to be in the moment, but don’t let the moment swallow you alive. Think of those who have blessed you this week, this month, this life (either people you know or complete strangers) and be inspired to do the same for someone else. Random acts of kindness don’t have to cost money. They don’t have to be Herculean events. Many times the simply RAKs are the ones that mean the most. Listen to the God whispers and act upon them. You just never know how important that random smile may be. Share the love and be inspired! Thanks for taking time out of your busy lives to spend some moments with me! For the past few weeks, our three year old has been mesmerized by the Chuck E. Cheese commercials on TV, where “a kid can be a kid!” He gazes longingly at all the fun the children are having then turns to us and proclaims, “I want to be a kid, too!” Every time he says this, it makes us laugh. Of COURSE you want to be a kid! You are one! We decided to make it a dinner event, so upon entering Chuck E. Cheese, we ordered a large pizza for the kids and the salad buffet for ourselves. I didn’t have a coupon for the buffet (only for tokens), but the generous cashier said, “I’ll just give you the discount price anyway!” How sweet! It put a smile on my face to be on the receiving end of a RAK. As I returned to the buffet for another amazing salad, a lady tapped me on the shoulder. “Would you like to have this? We are leaving and don’t have time to use it.” She handed me a coupon for 10 free tokens! Another random act of kindness received! Wow! Twice in one night! What a pleasant surprise! It was then that I knew it was my turn to pass along the blessings to others. I put my salad on the table and joined the long cashier’s line to claim my free tokens. As I got closer to the front of the line, I noticed a boy wearing all red standing to the side, shifting from one foot to the other. It appeared that he was waiting for his turn to get tokens, too, as I saw him folding and unfolding a dollar bill while he waited. He never once tried to push his way in front of anyone, but he also didn’t join the back of the line and wait his turn. He simply stood there, in the front, moving from side to side, almost willing someone to have mercy on him and let him in. “Why don’t you go next? You’ve been waiting quite a while!” His grin spoke volumes of appreciation. And sure enough, he was getting tokens. Four golden tokens in exchange for his crumpled dollar bill. A few moments later, I was exiting the line, 10 tokens in hand, ready to pass along my blessings. Remembering the squeals of delight my children would share when they found an unexpected coin in an arcade, I decided to leave my tokens on popular games, right in plain sight, ready to be discovered by children young and old. I think my favorite moment of the night came when I saw a young girl gazing longingly at the Cinderella coach, complete with a pair of majestic horses ready to pull the princess anywhere her heart desired. The girl walked around the ride at least twice when I leaned down and asked, “Would you like to be a princess and ride on this?” Her eyes grew wide as I handed her my very last token. “Go ahead. It’s OK! Put the token in the slot and you can ride.” She put her Barney doll down long enough to use the token, then grabbed him again and settled down for the ride. Her smile was simply priceless! As I stood there, watching all the children enjoy “just being a kid”, I felt the now familiar lump in my throat as my thoughts traveled yet again to those precious children from Sandy Hook Elementary. It made me want to hug my own children so tightly and never let go. Tonight I dedicate this act of kindness to Charlotte Bacon, age 6, a “sweet, outgoing and full of energy” little girl with a head of beautiful red curls. I am sure she would have loved to share the joy of just being a kid with others. Be blessed and remember… opportunities to bless others might just begin when you find yourself being blessed instead!